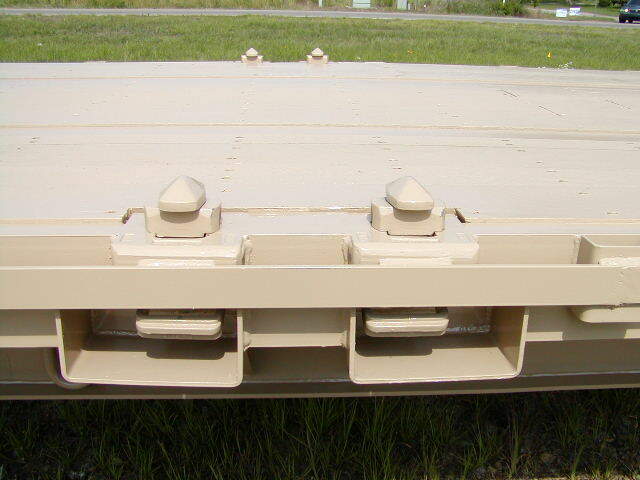 These intermodal container twist locks are the safety locking mechanism which attach ISO containers to the flatbeds at the corners. 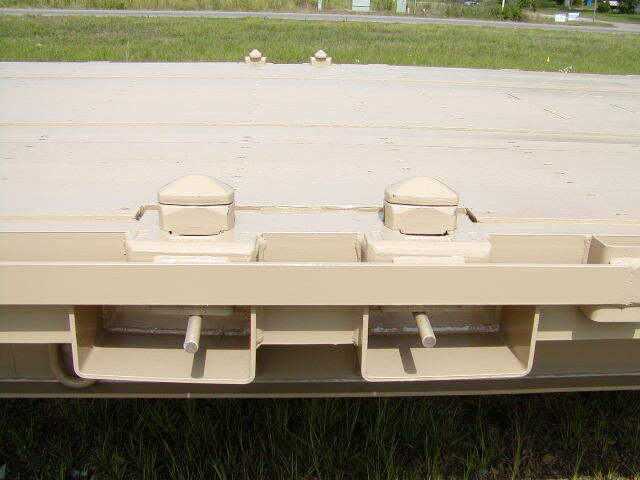 Models are available as retractable or non-retractable. With the retractable twist lock, the securing head retracts below deck level. Meet applicable requirements of Association of American Railroads (AAR) M-943 Section 5.3 for container restraints and American National Standard (ANS) Securements. 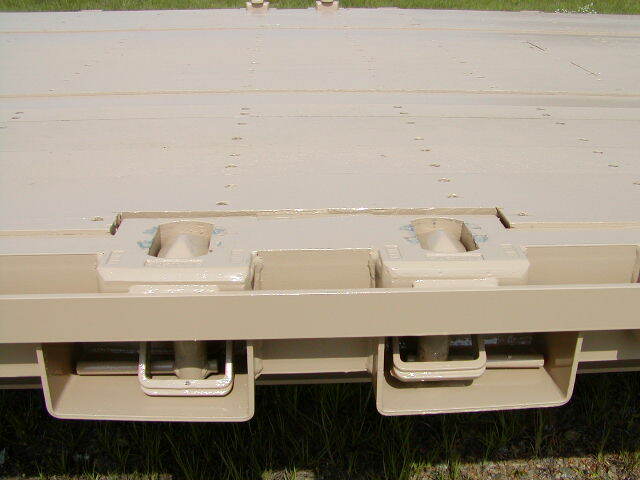 Retractable twist locks installed in the bed of a flatbed trailer make your flatbeds more flexible in the type of loads you can carry. Fold down the locks for general cargo loads and pop up the twist locks to use with 20ft and 40ft ISO shipping containers. For specs and drawings of each available model, please refer to the 'Flatbed Twist Locks Catalog' above.